Please come out and taste with me this fall in Houston! 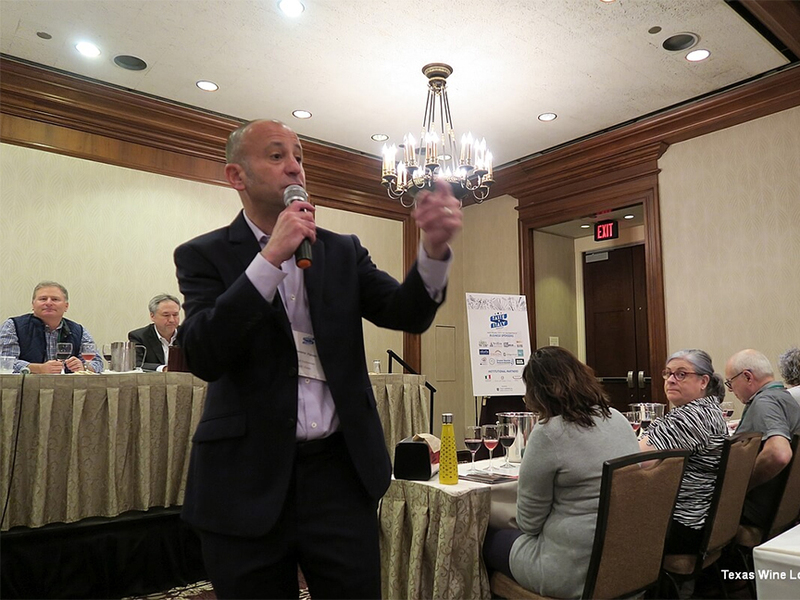 Here are the events where I’ll either be leading a seminar or presenting the speaker and wines, including Abruzzo, Piedmont, Oltrepò Pavese, Italian marquee estates, and Alice Feiring (!!!). 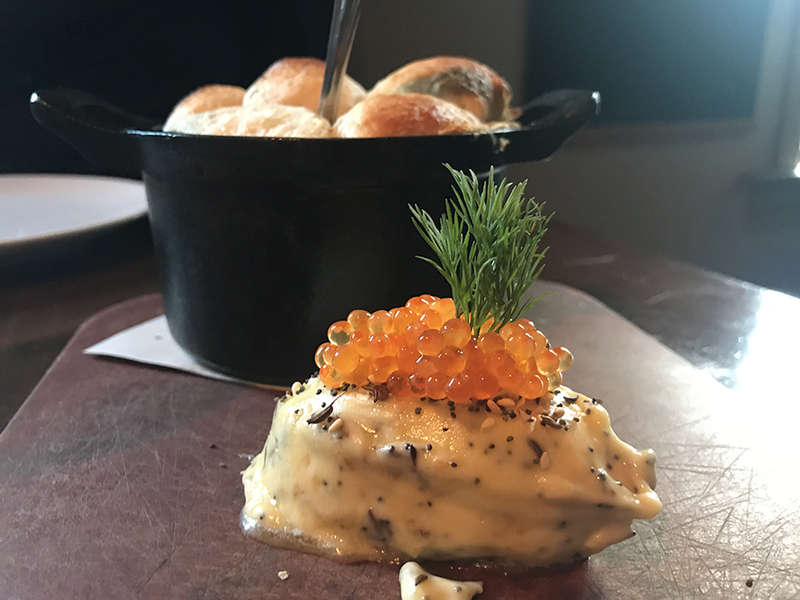 And hey, did you hear that GQ called Houston “the New Capital Of Southern Cool”? Thanks for being here and thanks for your support. Image via TX Wine Lover. This week, Slow Food published a statement declaring that the association favors newly proposed limits on copper fungicide use. “Slow Food says ‘yes’ to limits on copper,” read the title of a post on the advocacy group’s website. Earlier this summer, the European Union signaled that it might reduce the allowable amount of copper fungicide from 6 kg per hectare per year to 4 kg. The announcement has concerned organic grape growers who rely on copper treatments to combat fungal diseases. Leading organic growers have spoken out against the move and many claim it will gravely affect their ability to farm organically, thus threatening their livelihood. “We are in favor of the reduction in the quantity of copper allowable per hectare that the EU is currently discussing. 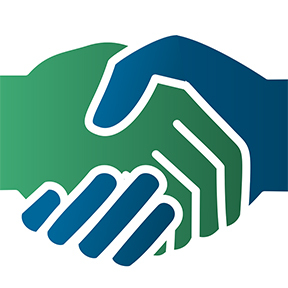 We hope it will lead to broader efforts in research on alternative and supplemental products,” said in the statement agronomist Francesco Sottile, a member of Slow Food’s technical advisory committee and a professor at the Slow Food University in Bra, Piedmont (UniSG). “We are faced with a delicate question and our association has to keep a balanced outlook,” he added. The heavy metal has been used in vineyards for more than 150 years to prevent peronospora (downy mildew). First developed in France in the second half of the 19th century, the “Bordeaux Mixture” has become an essential tool for grape growers who do not employ synthetic fungicides. “We are very concerned,” wrote Matilde Poggi, president of Italy’s Federation of Independent Grape Growers in May. 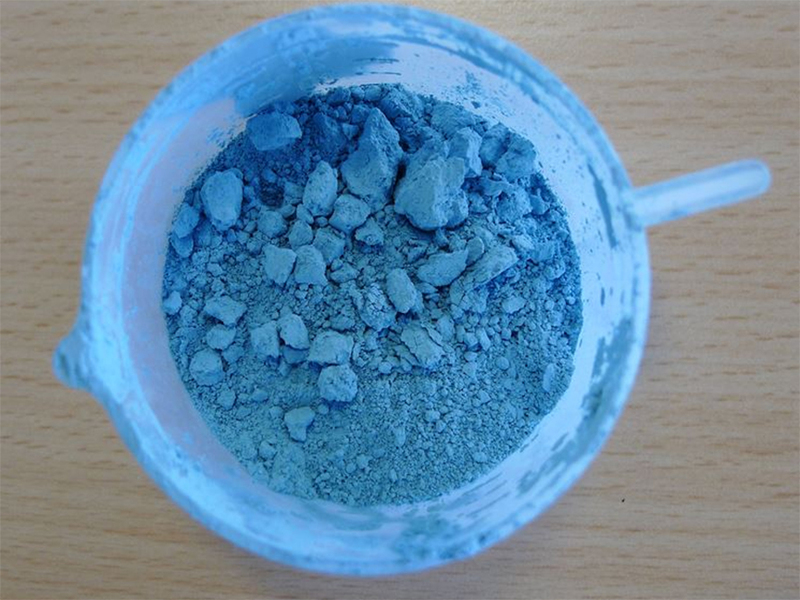 “For organic producers, there are no suitable alternatives to copper,” she noted in a press release issued by the group. The majority of its members are organic growers. 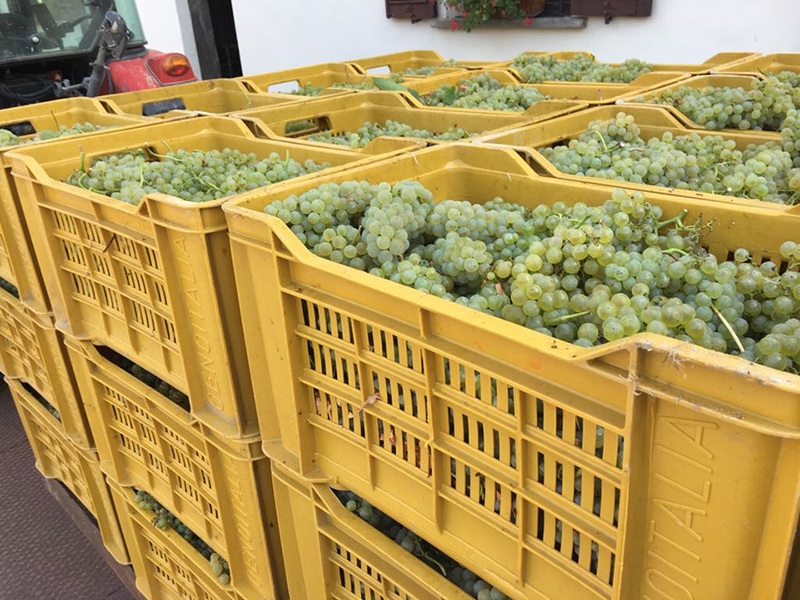 After a very rainy season in Northern Italy this year, at least one grape growers association requested and received authorization to increase the maximum amount of copper allowable, from 6 kg per hectare to 9 kg. Many are concerned that organic grape growing will become unsustainable if greater restrictions are implemented. Image via the Slow Food blog. Disclosure: I am an adjunct professor at the Slow Food University of Gastronomic Sciences (UniSG) and I am also a senior editor of Slow Food’s forthcoming Slow Wine Guide to the Wines of Italy, Slovenia, California, and Oregon. 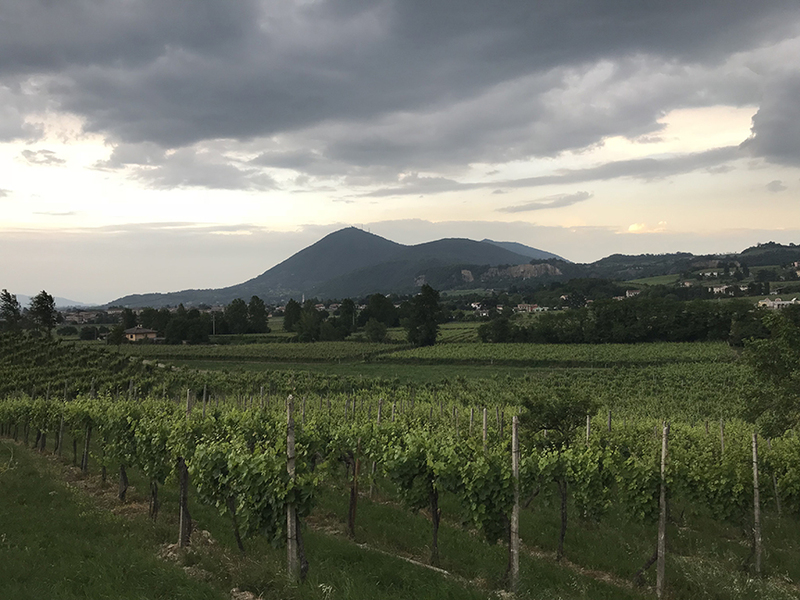 Above: the Colli Euganei, the Euganean Hills, where volcanic soils deliver vibrant fruit, earthy undertones, and lithe expressions of Merlot, Cabernet Sauvignon, and Cabernet Franc. Scant attention is paid to the role that language plays in the ways wines are marketed by producers and perceived by consumers. A key element in the success of Brunello in the early 1990s (when Banfi made sure there was a Brunello on every supermarket shelf in America) was the fact that broo-NEHL-loh is a lot easier for the average American to say than VEE-noh NOH-bee-leh dee MOHN-teh-pool-CHEE’AH-noh. Similarly, back in the last decade of the 20th century when Americans began to adolesce as wine lovers, it was a lot less challenging for monolinguist anglophones to order a glass of Californian Merlot than it was to ask for a wine from St-Émilion. 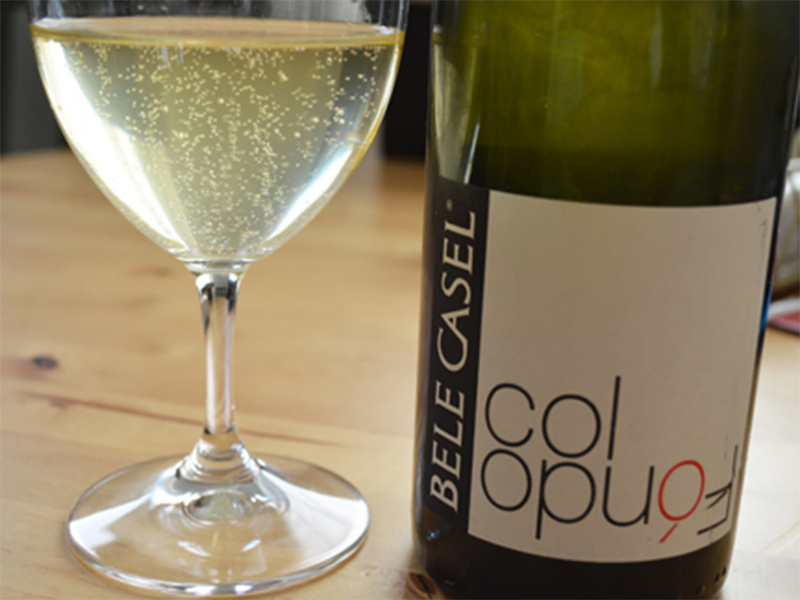 So what do you do with an Italian appellation like Colli Euganei? How are you ever going to convince Americans that they need to try these superb expressions of Merlot, Cabernet Sauvignon, and Cabernet Franc when they can hardly wrap their minds around how to pronounce the place where they are from? 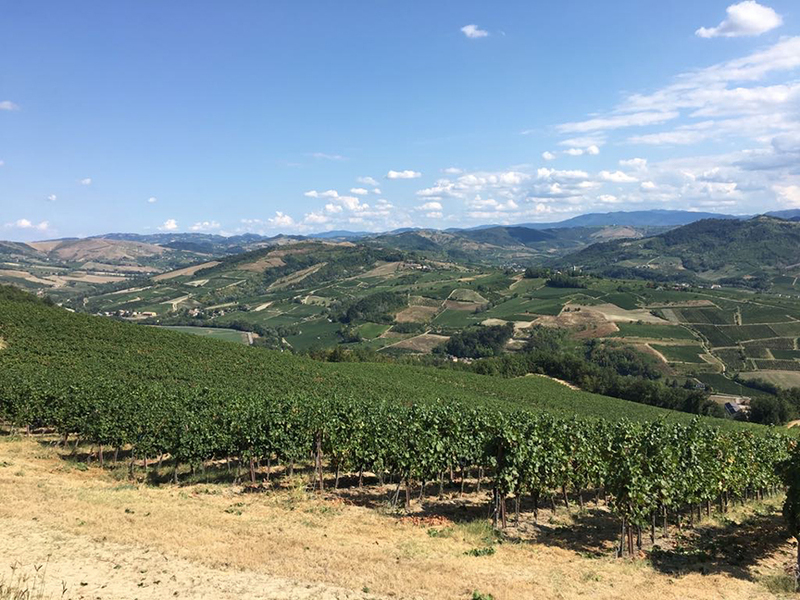 That conundrum was on my mind as I tasted through countless breathtaking wines at the Vulcanei tasting in the Colli Euganei in May of this year, a gathering devoted to “volcanic soil” wines. 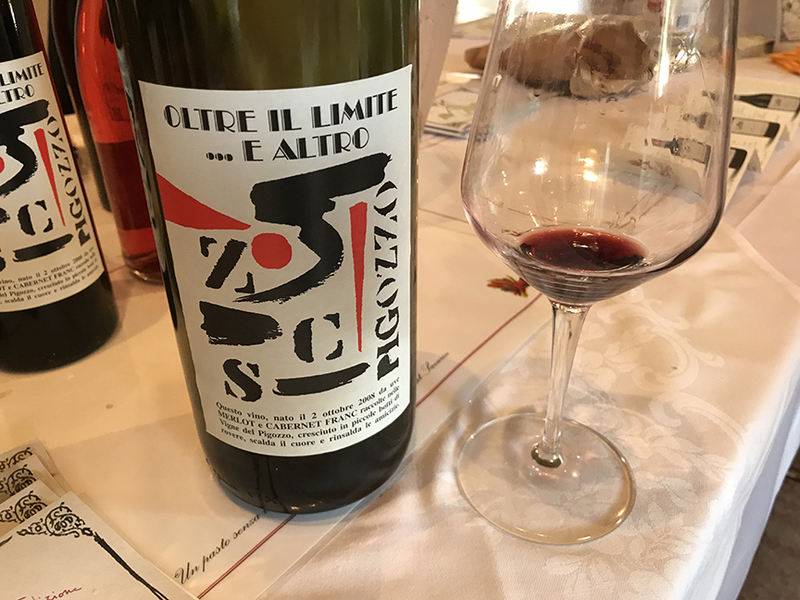 Thanks to my time spent at university in Padua not far from the Colli Euganei, I have tasted iconic producer Salvan many times over the years. The 2008 Salvan flagship, in the photo above, is a current release for the estate. Aged in small and large cask, this blend of mostly Merlot and Cabernet Franc is one of the best Bordeaux blends I tasted this year. What a wine! Rich red fruit but lithe on the palate, with earthy undertones and vibrant acidity that made the wine taste refreshing with every sip. 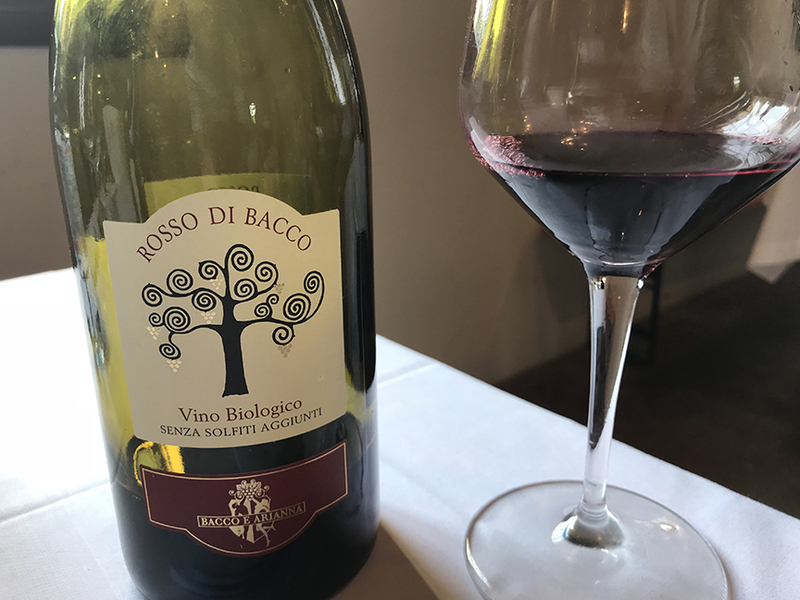 I had never tasted Bacco and Arianna but was floored by their wines, especially this Rosso di Bacco, a Merlot and Cabernet Sauvignon blend aged in stainless steel. Bright red fruit flavors with electric but gorgeously balanced acidity. And wow, organically farmed and no sulfur added? This wine retails for around $13 in Italy! Why is no one importing it to the U.S.? Can you imagine how popular it would be in the natural wine scene? I could literally drink this every day. But then again, there’s the problem of the appellation name. 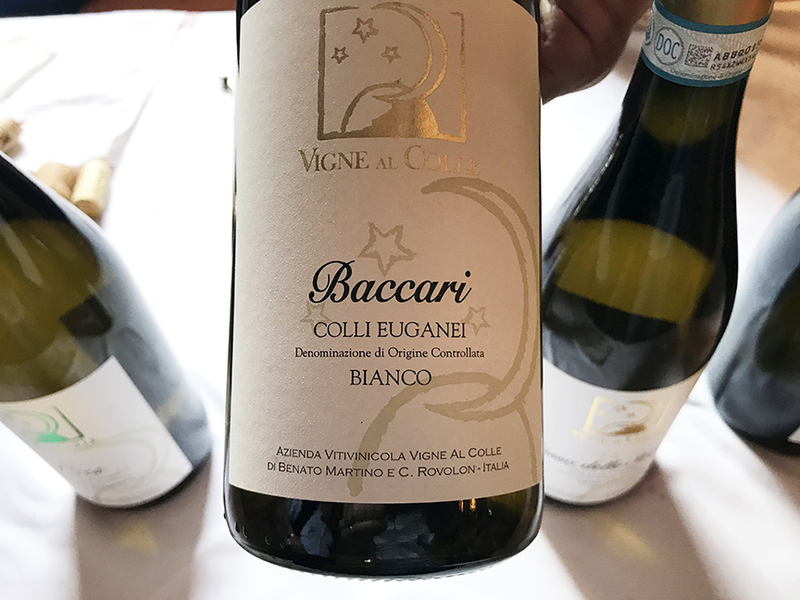 Given enough time, I could have populated this post with 20 Colli Euganei wines that really impressed me at the Vulcanei tasting. 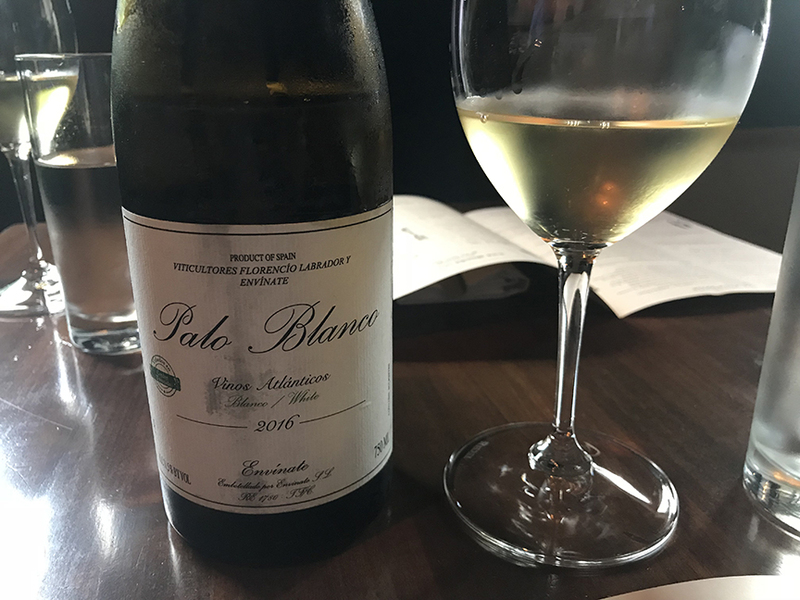 This Pinot Bianco from Vigne al Colle also surprised me with how good it was, fresh but overflowing with white flower aroma and stone fruit flavor. I can’t find it on WineSearcher but the sommelier who was humanning the station told me he believed it retailed for less than $10. Unleashed in North America, this wine would become a king among by-the-glasses. I loved it. Why is nobody importing it? There’s that little problem about the name. So how do you pronounce it? Even Italians can be challenged in saying the place name Colli Euganei. Thanks for speaking Italian grapes and wines! Enjoy! Saturday, August 25 marked the first anniversary of Hurricane Harvey. But the impact of the catastrophe is still acutely felt in our city and in our community. Our family was among the lucky ones whose houses didn’t flood. But not a day goes by that we don’t interact with Houstonians who haven’t been able to return home. Some of those still deeply affected are our neighbors, some have children who go our kids’ magnet school, some work in the Houston food and wine industry. Harvey touched everyone in our city, from the richest among us to the poorest. Reading my posts from a year ago sent chills down my spine. I was living in New York during the September 11 tragedy; Los Angeles during the 1994 earthquake and the 1992 riots. Nothing has ever frightened me as much as Harvey, especially with two terrified young children who didn’t understand what was happening around us. August 28, 2017 was the first day we emerged from our home, although it took a few more days before we could get off our block because there was severe flooding all around us. You can sense the fear, confusion, and dread in my words. 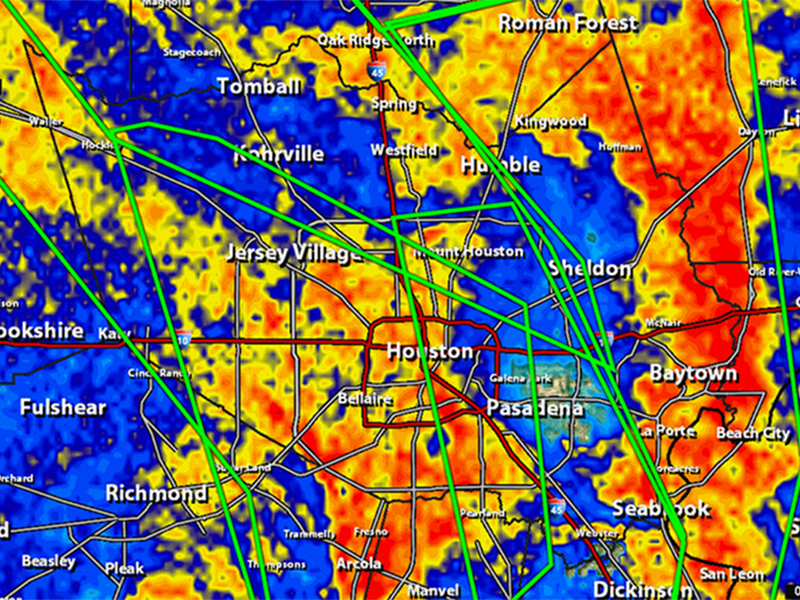 I took that Weather Channel screenshot, above, on August 26 during the peak of the rainfall and flooding. It was a terrifying experience for all of us. And the worst was yet to come as people started to get sick from the toxic flood waters. I’ll never forget cutting my hand on a nail as I was helping neighbors muck up their homes. Their houses were filled with flood water that had been “fermenting” in the heat for days. I didn’t get sick. I was one of the fortunate ones. Between a three-week trip to Italy where I was teaching and a two-week road trip to California and Arizona, the Parzen girls had an awesome summer. 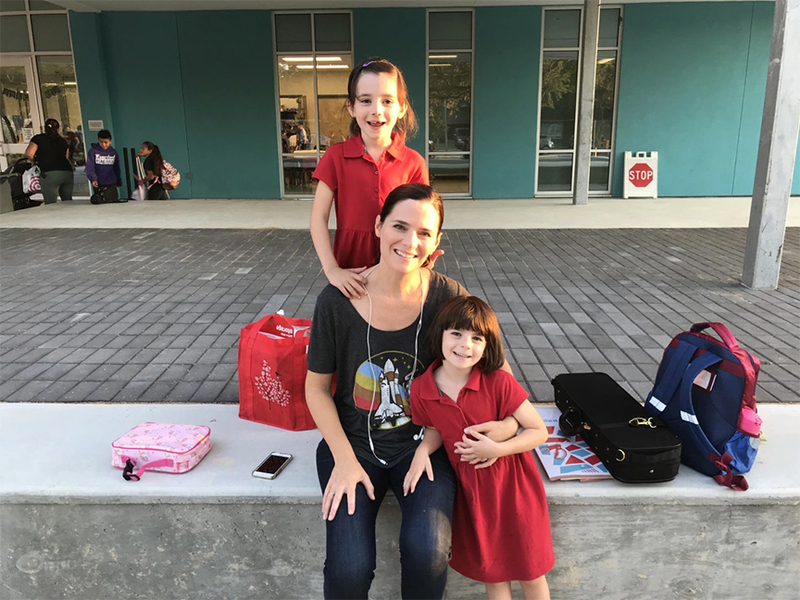 Today was their first day back at school, a music magnet. Georgia will be continuing her Suzuki violin program and Lila Jane was accepted into the cello class (especially sweet for me because cello was my instrument as a kid). Looking back on where we were a year ago today, we can only thank our lucky stars for the countless blessings in our life. 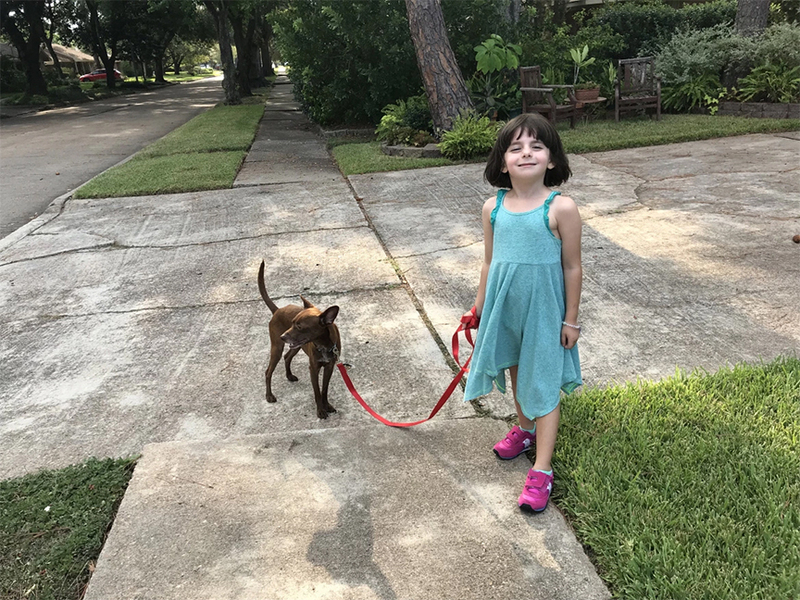 Parzen family has a new dog: Rusty, a rescue that was picked up back in April in Pasadena, Texas. He might very well be a Harvey dog, one of the myriad pets that were separated from their owners in the aftermath of the flood. We’ll never know his backstory. But he’s becoming less skittish every day and he’s an endless source of companionship and entertainment for our girls, who adore him. We think he’s no older than four years. He’s still adjusting to being around people but he’s super sweet with everyone in the family. He loves to steal the girls’ stuffed animals and add them to his collection of pilfered socks and toys. And after Tracie nearly lost it when we dropped the girls off at school this morning for their first day, I know she was glad to come home to another “baby” to take care of. As we drove this summer back from California to Texas, Tracie dug deep into her emails to read some of the first message we exchanged. It was on July 15, 2008, the day after my 41st birthday, that we were first in contact after she had wished me a happy birthday on my blog. The next month, I boarded a plane in San Diego and landed later that day in Austin, where Tracie was living, just back from her years in Italy. That night, we shared a glass of sparkling Vouvray, we ate enchiladas at Polvo’s, and we danced at the Continental Club. This weekend marks 10 years since that first date. Before the end of the year, I asked her to marry me in a song that I shared via CD (yes, CD!) and the U.S. Postal Service (check out the song below). And in December 2008, I made that same drive from California to Austin where I rented an apartment and found a job slinging wine. By spring of 2009, we were officially engaged. The photo above is from late 2008, just before I moved to Texas. In 2010 we were married. And we drank that same sparkling Vouvray at our wedding. Tracie B, I’m so glad you married me! I love you, I love our family, and I love our life in Texas. You’ve given me the very best years of my life and they’ve only become richer and richer as our girls grow. I’m so glad that I got on that plane 10 years ago. I can still remember our first date like it was yesterday. I love you. Make me feel this way? Have you any plans for growing older? Hey good lookin, what you doin’ later? Tracie B, will you marry me? Will you marry me, girl? Tracie B, won’t you marry me? 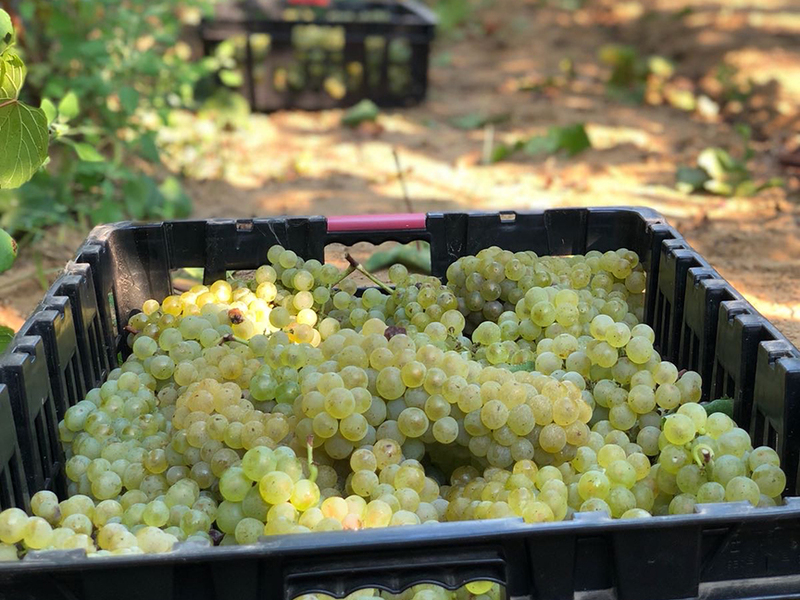 Dispatches from Italy’s 2018 harvest are just beginning to come in. That’s a shot from Oltrepò Pavese, snapped earlier this week. They’ve started picking their Chardonnay (below) and Pinot Noir for their classic method wines. From what I’ve been told, Oltrepò Pavese was spared a lot of the late spring and early summer rain that hopscotched across norther Italy this year. I’ve been told that most a lot of Franciacorta has already been harvested. Looking around on the internets, I found this authorization, dated June 15, for Trentino producers to increase the maximum yearly amount of copper per hectare to 9 kilos. The request and authorization are indicators that they’ve experienced problems with peronospora during this very rainy vintage in northern Italy. Currently, the EU allows growers to use 6 kilos per hectare per year. But the EU’s Plants, Animals, Food and Feed (PAFF) Committee is considering reducing that amount to 4 kilos per year, something that has organic growers gravely concerned (see my post from July 23 here). Copper is a very sticky issue in Europe these days. Southern Italy has also seen some patchy but limited rain late in the growing cycle this year. It didn’t impact growers to the same extent as in the north. Those are Chardonnay grapes harvested in Salento this week, above, photo via my friend and client Paolo Cantele. The quality of their fruit this year is excellent, he said, despite some late rainfall. He and his brother Gianni are really happy with their results. Those grapes will be used to make their flagship Teresa Manara Chardonnay, their twentieth vintage (mazel tov, Cantele family!). Down in Tuscany, they’ve had a “rainy and cool” season, said my friend and client Stefano Cinelli Colombini in a Facebook post (translated here, by me, for their blog). Those are Stefano’s Merlot grapes in Maremma, along the coast. Based on his lab samples, he’s expecting an early harvest, which is surprising considering the conditions. “With these crazy seasons,” he wrote, “there’s no telling what the results will be.” But he’s confident that the vintage has good potential. Between the wild fires in California wine country and the odd weather on both sides of the Atlantic, I don’t know of any winemaker — not even the rubiest red Trump supporter (and there are plenty of them in California, by the way) — who doesn’t believe that climate change is affecting and impacting their livelihood. 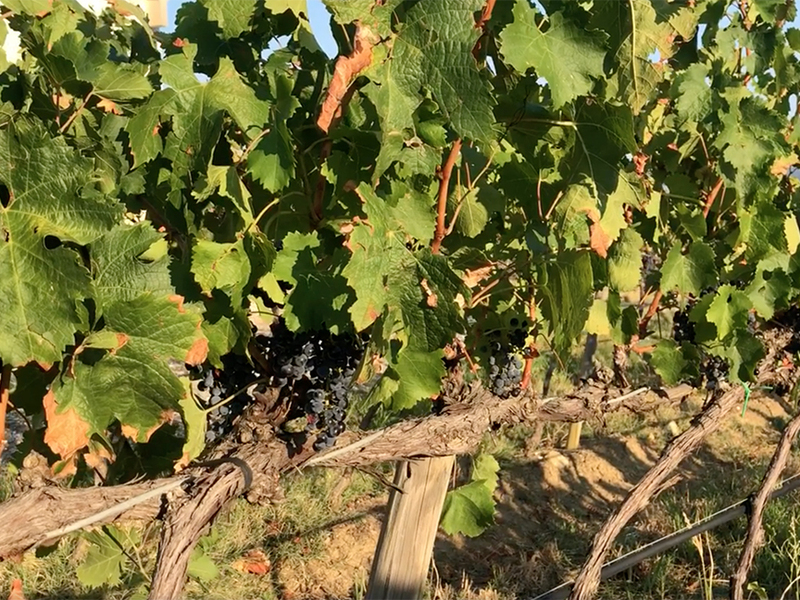 Earlier this year, Stefano wrote this compelling op-ed on how winemakers need to face the challenges of climate change (I translated it for his blog; it’s worth checking out). Wishing winemakers across the world, a bountiful and healthy harvest! Buona vendemmia! Over the weekend a pseudo-pesto was prepared and served over bucatini in the Parzen home. The Parzen family pesto recipe is delicious. But it’s a mere riff on the traditional recipe, hence the qualifier “pseudo” (we don’t use pecorino and the Parmigiano-Reggiano we use isn’t aged; you could call it a “pan-Italian” pesto, typical of the pesto you’ll find in major cities beyond the Ligurian coast). It reminded me of the mouthwatering pesto the Parzen family ate during a weekend in Liguria this summer along the Italian coast in Finale Ligure (nearly all of our Italian friends poo-poo’d our beach destination, writing it off as too “1960s,” kitschy, and passé; but we loved it). 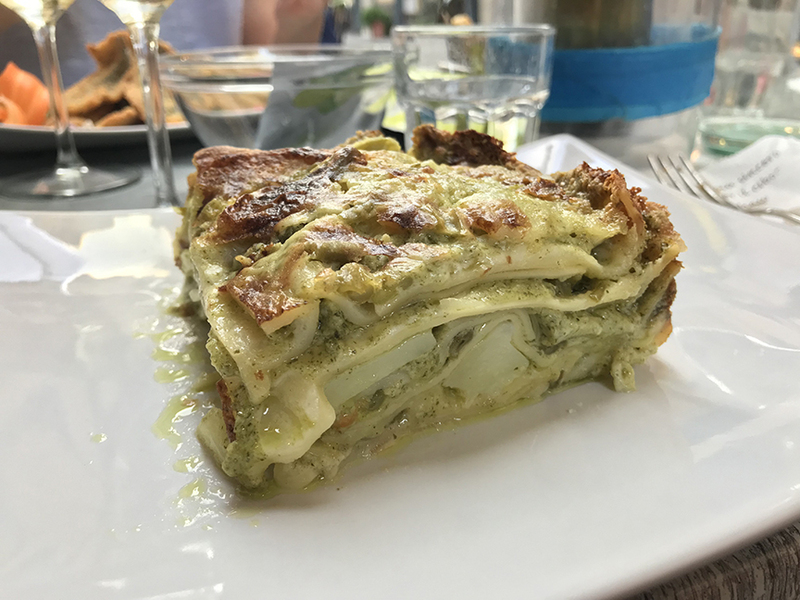 Those are lasagne al pesto in the photo above (yes, it’s plural in Italian and thus it’s appropriate to refer to it in the plural in English as well; a lasagna is a sheet of pasta, plural lasagne). Note the potatoes among the layered pasta sheets. Made primarily from Taggiasca olives (named after the township of Taggia, also known in English as Cailletier olives), the oil is famous for its almond and pine nut character. The taggiasca cultivar is smaller than most and its stones are relatively large. This makes it unappealing to commercial producers of olive oil who seek greater yield. But it remains a gold standard (excuse the pun) among top olive millers. Ligurian oil is a central ingredient in pesto. And it’s also a key element in focaccia genovese, Genoa-style focaccia. In Liguria, the flatbread is basted with rich olive oil and sprinkled with sea salt. As you can imagine, it’s literally finger-licking good. 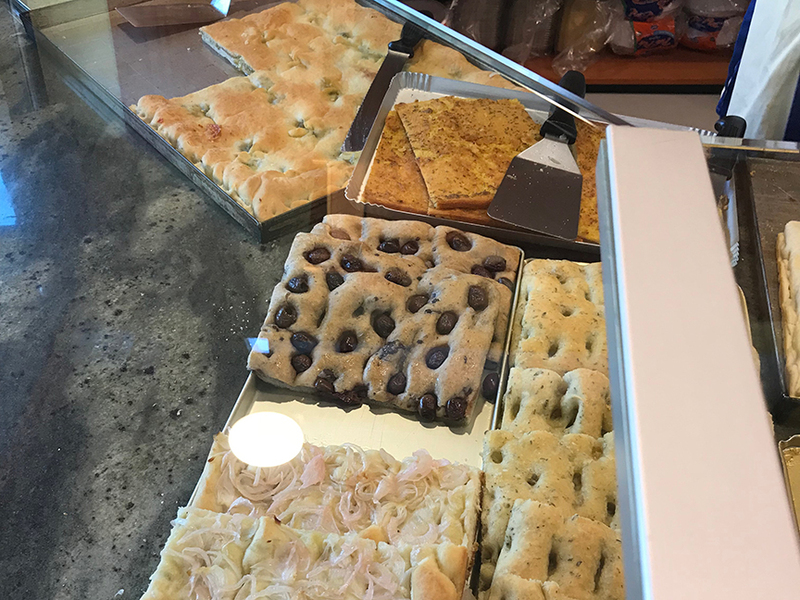 And one of the coolest things about focaccia genovese (at least for me, lover of savory as opposed to sweet breakfast) is that the Ligurians eat it in the morning for breakfast with their coffee. As a matter of fact, they seem to eat it at all times of day (which is fine by me). 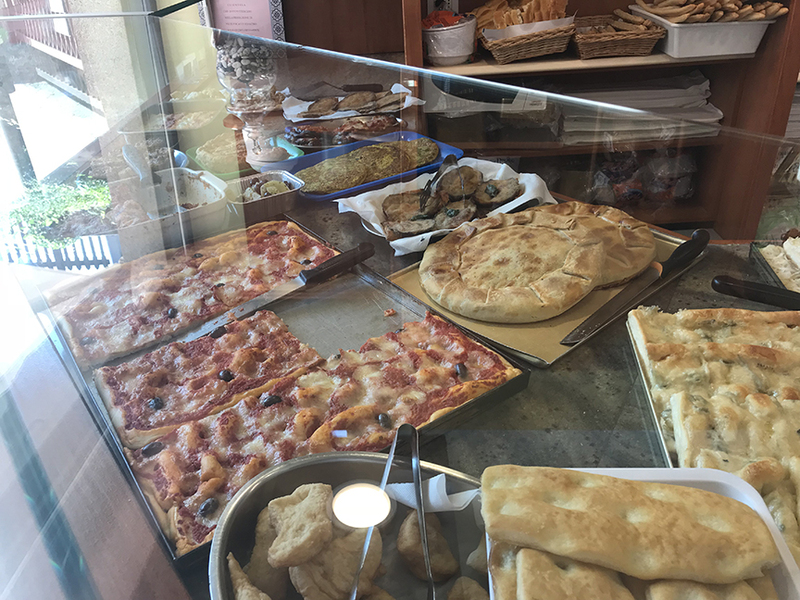 No user-generated content research went into our decision to frequent Il Tuo Amico Pane. We simply scouted around until we found the focacceria with the longest line. The focaccia slathered with pesto was sublime, hands down the best pesto we ate during our 36 hours in Liguria. I wish I would have taken a photo of it but my hands were otherwise covered in olive oil and sea sand (we used Vittoria Beach for our beach set up; it was great). Finale Ligure may not be the sexiest beach destination among Italy’s hipster crowd. But man, it sure hit the spot. For years now, I’ve been smuggling Bele Casel Prosecco Col Fondo into the state of Texas. (I confess, TABC! You got me, Three-Tier System Crusader!). The motivation for my illicit activity was the fact that Bele Casel wines were not legally available in my adoptive state. Without an importer or licensed distributor here, you could only find the wines on the American coasts, where they have been available for years. Sadly, Texas is one of the most restrictive no-ship states in the union (thank you, Wholesalers Lobby!). And the state’s alcoholic beverage commission aggressively enforces the no-ship rule. That means that law-abiding Texans couldn’t buy the wines at an out-of-state retailer and have them shipped here. But as of this week, Bele Casel — one of my favorite Italian wineries and one of my longtime clients (I author their English-language blog) — is now officially and legally available in Texas. Austin-based progressive importer Rootstock agreed to bring the wines in last year and they are finally here. Next Thursday, my good friend Nathan Smith and I will be presenting the wines at one of my favorite Houston wine bars and shops, Vinology. Please call the shop (info below) to reserve. A lot of my Texas wine friends have already tasted the wines at our house. Now they’ll finally be able to take the wines home with them, too — legally. I couldn’t be more happy about that. Call the shop to reserve. Mitì Vilgiero, one of my favorite contemporary Italian writers and a chronicler of life in Genoa, posted the above tweet yesterday following the tragic collapse of the city’s Morandi Bridge. According to the New York Times, at least 39 people have died as a result of the disaster. Although we didn’t pass through Genoa, Tracie and I recently drove along the A10 freeway just north of the port city and capital of Liguria in Italy’s northwest. The Morandi bridge connected Genoa to the rest of the continent along that corridor. Not only is that road one of the country’s major arteries but it is also one of Europe’s most important transportation routes, connecting Italy and France. The collapse of the bridge will continue to impact lives in Genoa, Italy, and Europe for the unforeseeable future. Our hearts and prayers go out this morning to the victims and their families.